Have a hassle-free transfer from Jodhpur to Jaisalmer on a comfortable private cab. Enjoy a hassle-free transfer from Jodhpur to Jaisalmer on a comfortable chauffeur driven vehicle. Available on an easy online booking. Jaisalmer is a city in the state of Rajasthan, it was a medieval trading centre in the heart of the Thar desert. Jaisalmer Fort overlooks the city from the top, an ancient piece of architecture. Jaisalmer was founded in the year of 1156 AD. Jaisalmer is a major tourism centre in Rajasthan, it is one of the most preferred event-organizing destinations in Rajasthan. 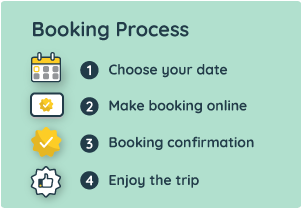 Your transfer begins with a pick from your hotel/airport/bus or railway station in Jodhpur city limits at your specified time slot (select while booking). You will be travelling a distance of about 280 km from Jodhpur to Jaisalmer. It would take you about 6 hours to reach Jaisalmer inclusive of your stops for refreshments. Upon arrival, you will be dropped at your hotel/airport/bus or railway station is Jaisalmer.